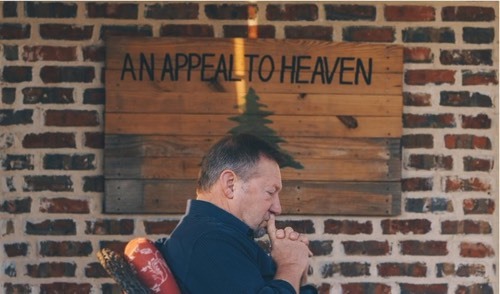 Shalom In The Wilderness: Dutch Sheets: "Audacious Prayer Assignments Are Coming!" Dutch Sheets: "Audacious Prayer Assignments Are Coming!" "Audacious Prayer Assignments Are Coming!" As I shared in a previous blog, the Lord has pronounced this "the year of Joel 2:16," showing me that a tidal wave of prayer is beginning to sweep over America, making way for the next great move of God. The Joel 2 passage the Lord has highlighted for this year is referenced in Acts 2, starting in verse 16—another "2:16" promise for this 2016 year! Acts 2 tells of the outpouring of the Holy Spirit, which marks the beginnings of an apostolic Church empowered for signs and wonders. The Lord plans to release a mighty Joel 2 + Acts 2 move of His Spirit in America this year. And I believe that in order to accomplish this, He is going to ask us to do some radical things in prayer! Throughout my lifetime of prayer, the Lord has asked me to pray some pretty outrageous prayers, and make some extremely bold prophetic decrees. I wish I could say that in each instance I was full of faith and quick to move on Holy Spirit's promptings, but there have been times where my faith fell short of God's ability, and I questioned Him repeatedly before following through with His request. I recall the time Chuck Pierce and I were in Texas as part of our 50-State Tour. In the middle of my preaching, the Lord used Chuck to prophesy that if we prayed right then, Saddam Hussein would be captured within a week. I was shocked by the bold proclamation Chuck had just made, but with a nervous heart, I obeyed and led us all in a time of intercession. There was military personnel present, and we had one gentleman in uniform stand in proxy for our military. We prayed that God would actually anoint our military to find Saddam Hussein. Three days later, the news reported Saddam Hussein was found and captured by the very unit in which the military man we prayed for belonged. Incredible, but true. I wish I could say Chuck and I were in complete, unwavering faith as we prayed and prophesied, but we weren't. Chuck had just enough faith to release the prophecy, and I had just enough faith to lead the prayers and decrees. And then we both held our breath until the news reports of Saddam's capture were released! God doesn't require perfection from us, only obedience and availability. On another occasion, after visiting and praying with a Senator in Washington, DC, he invited me to sit in on a Judicial Committee Meeting where he was to participate. It was a contentious meeting on the issue of abortion, which was almost immediately shut down by the pro-abortion Committee Chairman, silencing the pro-life arguments. The Senator invited me to stay in that room by myself and pray for a short time after everyone else had left. I listened to the Lord, asking what He wanted me to pray, then made this decree over the seat of the committee leader, "You have resisted God as long as He will tolerate. You will lose this seat and be replaced by another." Within two weeks, that Senate Committee Chair was removed, and someone else took over his seat of authority. Radical obedience resulted in a radical shift in that seat of government! Audacious Prayer Assignments are Coming to the Ekklesia This Year! God is going to ask us to pray some radical things this year—things that may have us thinking, "Can God really use me in this way?" And for those who may not be operating in complete faith, yet trust in God's faithfulness and are willing to obey, Heaven's answer will be an emphatic, "YES!" God will accomplish audacious, bold, amazing things through our prayers—not because of who we are, but because of who He is! When we use our mustard seed sized faith to pray and obey, God will do the rest. 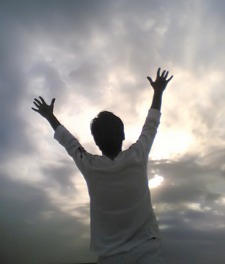 His power will be released, Heaven's resources will be unleashed, and we will rejoice! We were destined to be a bastion of light and hope for the nations of the earth. 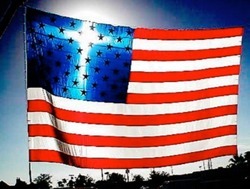 And while the prognosis within our borders seems grim, God is not finished with America. God is going to use a Joel 2 army and an Acts 2 company to release His will into situations that need His authority. We must not depend on the government to fix our nation, nor place our hope in the next president. The Church must rise up and become the ekklesia (a legislative assembly or government) of Heaven and charge into this next prayer movement believing that if we are faithful to pray, God is faithful to respond. As we hear about the great surge in prayer God has planned for this year, and we see its beginnings, we must remember that most prophetic words are conditional. They alert us to what God wants to do; they are not guarantees of what He definitely will do. The Lord is offering us grace; let's get on board with His plan to turn this nation around.